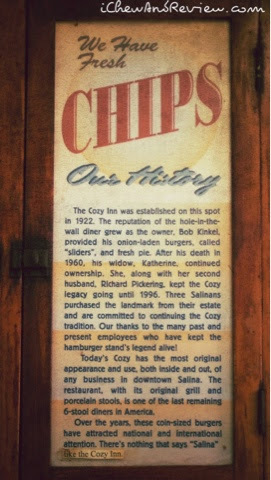 Well this place is a bit of a drive, but if you ever find yourself in Salina, Kansas, Cozy Inn Hamburgers is a must-stop. Heck, you better stop in Salina before heading west on I-70 because there's nothing but fields and windmills after that. It's easy to pick what to eat at Cozy Inn. Your only option is the number of sliders you want to pack in your belly. So have a seat on one of the 6 porcelain stools from 1922 (yeah, the place has been open that long) and wait to be served. 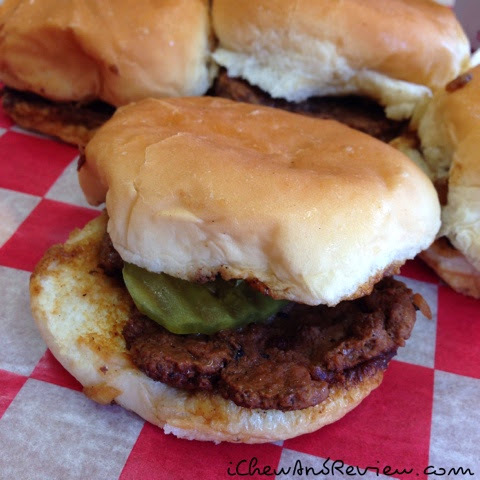 Considering my only other experience with sliders is from White Castle, these were the best I've ever had. Ha ha. The meat was flavored well from the 90 years of grime that has built up on the griddle. The buns were soft and slightly sweet. The bottom bun was quite possibly my favorite part of the burger. The salty burger juices soaked in and with some stray diced onions, tasted so good. I'm glad we are passing back through on our way home. This iconic little place is calling my name again. 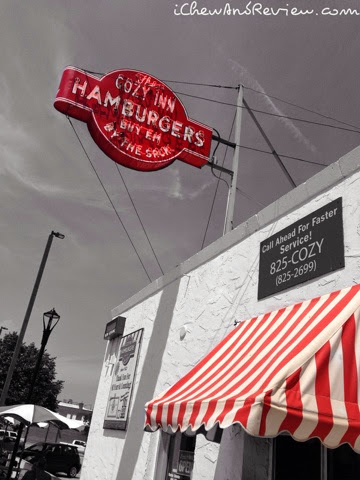 The Cozy Inn is located in Salina, Kansas, just a quick jaunt to the north. Visit their website at http://www.cozyburger.com.